This is a huge milestone for Corpis Maps and everyone using this product! Corpis Maps (configurable analytic map platform for business data) version 2 has been released! In the new version, we bring the whole new level of effortless and intuitive creation of a map configuration called Corpis Maps Creator. 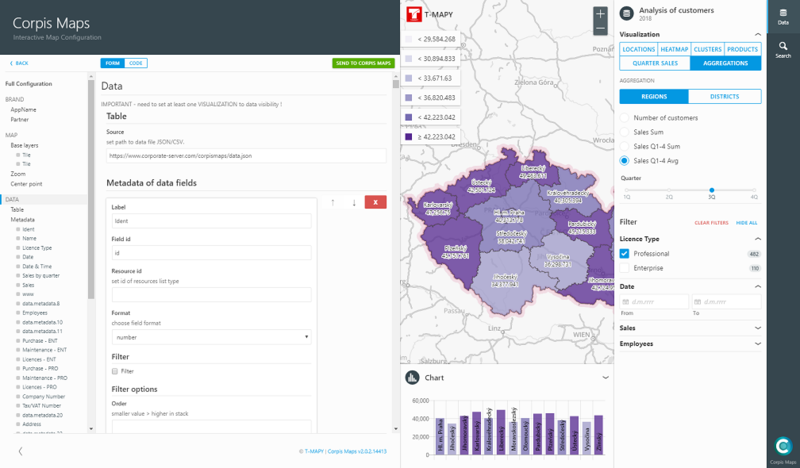 Thanks to this new functionality, Corpis Maps strengthen the leading position in location analytics and corporate geographic business intelligence solutions. The brand new visual map configuration tool makes it super easy and time efficient to create or edit configuration files of your analytic maps. Meet the Intelligent "Form View"! We simplified the way of creating a map configuration file. 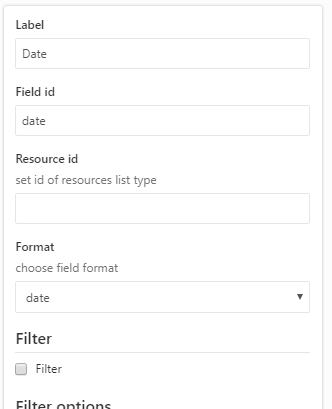 The new "Form View" enables to create a custom analytic map very easily, it leads you through the creation of the configuration file and also helps you to avoid any errors. You can easily switch between the Form View and the Code View. It is very useful when you need to copy&paste a part of your existing configuration file (e.g. reference table) into a new one. 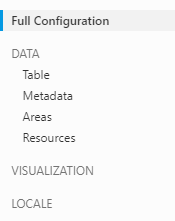 Map configuration is now devided into several sections, sub-sections and items that are easily accesible in the Configuration File Structure pane. You can jump between sections with just one click. Some values like a data format or aggregation functions and now nicely arranged in a pickist, so your don't need to remember them. Simply choose one of them from the picklist. Once you finish editing of your configuration file, you can immediately view the result in the preview mode by clicking the "Send to Corpis Maps" button. The Map Preview window located on the right side of the page. This new feature is continuously validating your configuration file. If there is any error, it shows you the information in the Form View and also in the Code view where the error is in your configuration file. If you need to add or remove e.g. a new visualization or new aggregation metrics in the configuration file, you can easily do so using the blue (+) and the red (x) button.